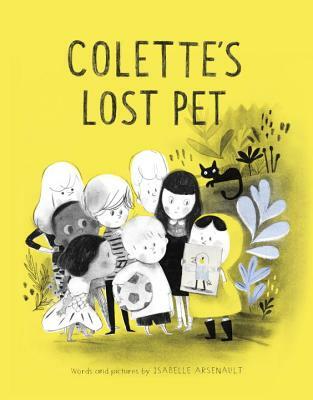 Colette can't find something to talk about with the new kids in the neighborhood...so she invents a pet! Her fib quickly escalates, and suddenly her parakeet is a larger-than-life world-traveler named Marie Antoinette. Have her new friends figured out her secret? What will they do? This charming story both clearly identifies the struggle of navigating a different experience, and demonstrates to kids a lovely and welcoming way to treat someone new in their community. ISABELLE ARSENAULT studied Graphic Design at the Université du Québec à Montréal. She has won the prestigious Governor General's Award for Children's Literature three times, along with many other awards and distinctions. Two of her picture books were named as New York Times Best Illustrated Books of the Year. She lives and works in Montreal.